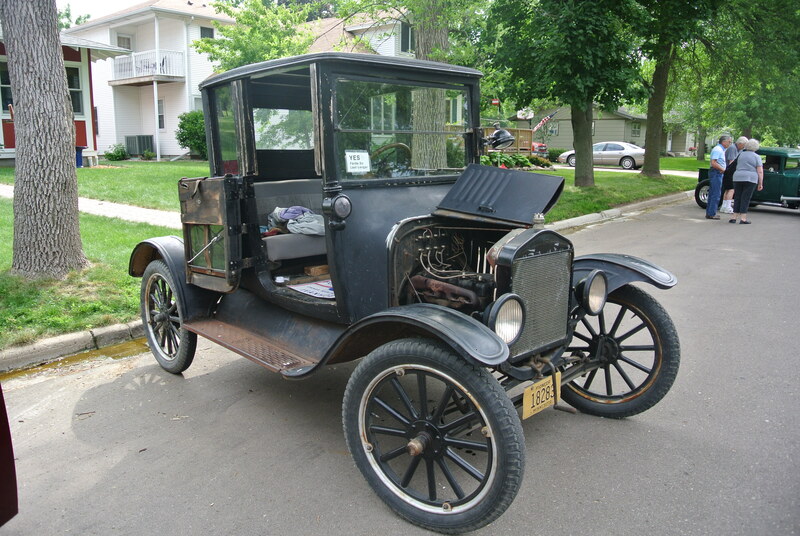 1918 (IIIRC) Ford Model T, clearly and gloriously unrestored! Grandson of original owner dragged it out of storage, did enough repairs to make it operable, and left well enough alone… Despite it being a rare “coupelet” (the hard top is removable) that most old car nuts would be tempted to overrestore. 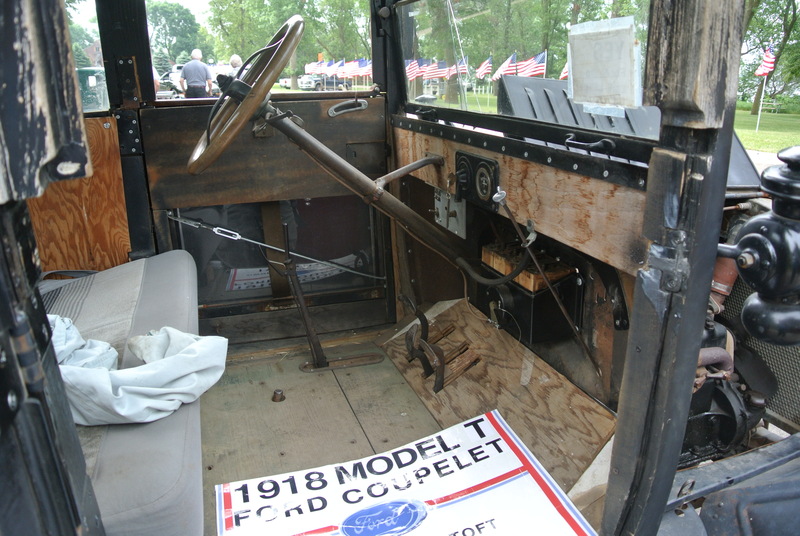 Over the last near century some of the wood had rotted away, so the car’s custodian (restorer would be an insult) cut out some new boards as best he could, given that there’s no patterns available for the rare Coupelet body. And thanks to his respectful restraint, we get to time travel back to the days when Model T’s ruled the roads, baling wire repairs and all! Yup, that’s rust there on the door jam… And after half a century, you’d probably be rusty too! Again, good to see a working truck that’s served the same family farm since new. 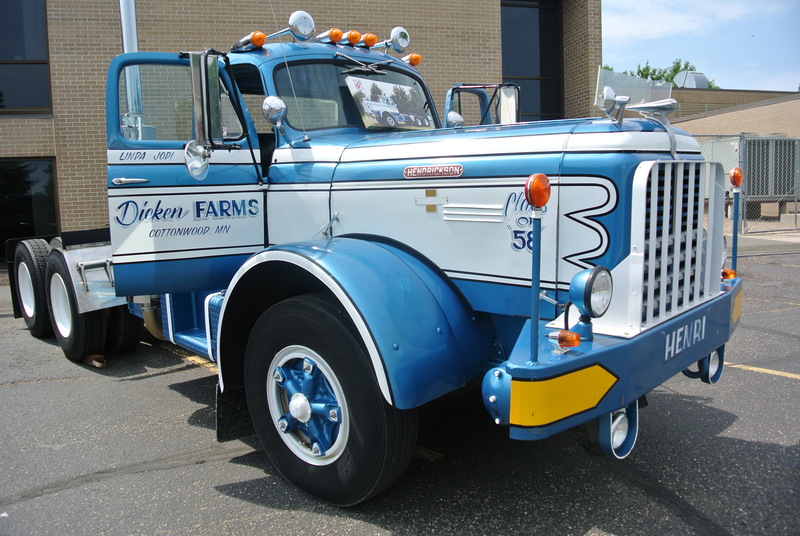 Trucks were kinda a sideline for Hendrickson, a company best know for their truck suspensions, and they gave in to increasing regulation and sold off the truck building operation a couple decades back. That operation moved to a Michigan scrapyard and slowly disappeared. 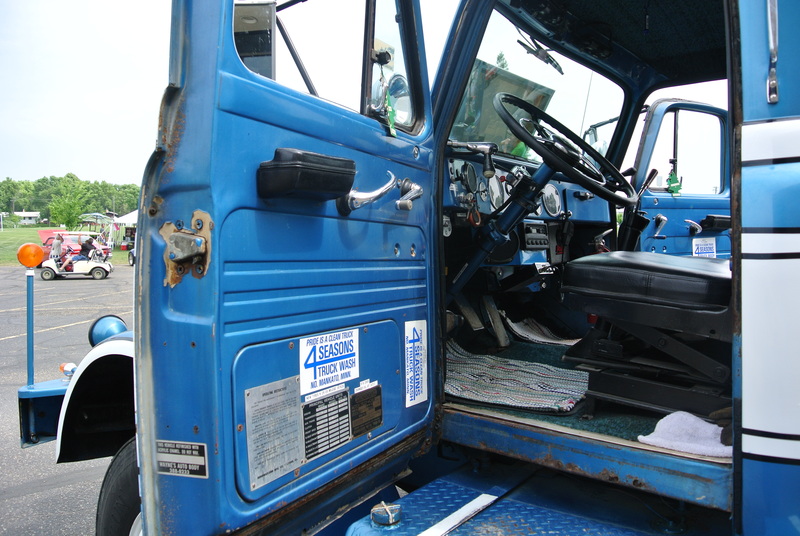 But Hendrickson’s trucks are still around… They built everything from a massive heavy hauler that seems to disappear then reappear in the midwest whenever there’s million pound load to be hauled and the Ryder Paymaster trucks of the 70s. That’s ’bout the only things worth devoting memory card space too… The new ‘stangs and Camaros weren’t worth the bother, the motorcycle category consisted entirely of two late model HOG(NYSE) products, and the sole foreigner was a Miata. I was tempted to enter the 100,000+ mile R65LS I rode to add a bit of mechanical diversity, but I didn’t have time to wash it… Maybe next year?